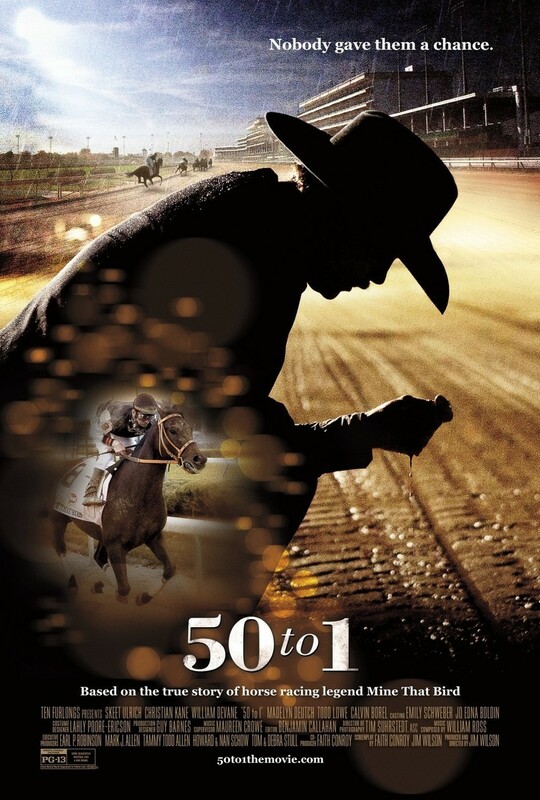 50 to 1 DVD release date was set for April 28, 2015. A band of colorful misfits will embark upon a once-in-a-lifetime journey when their thoroughbred racehorse, nicknamed "Mine That Bird," qualifies for the 2009 Kentucky Derby. The group, headed by New Mexico cowboys Chip Woolley and Mark Allen, will face a series of hurdles along the way, as they prepare to go head-to-head with some of the world's most elite horse racers at the famous Churchill Downs racetrack. The odds will be heavily stacked against them when they compete during "the most exciting two minutes in sports."